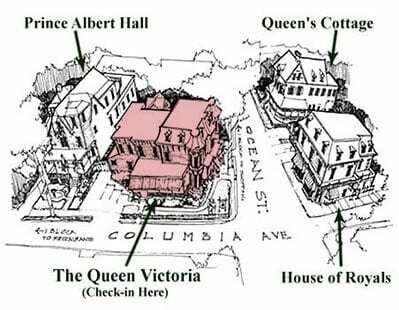 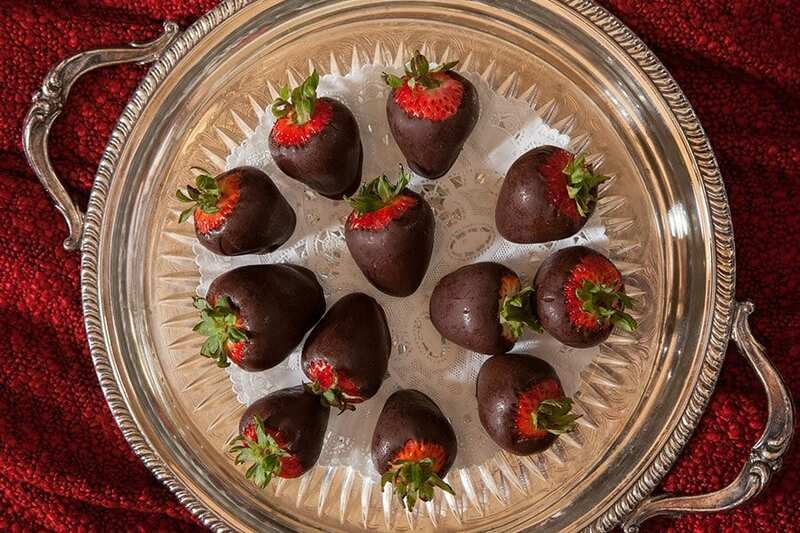 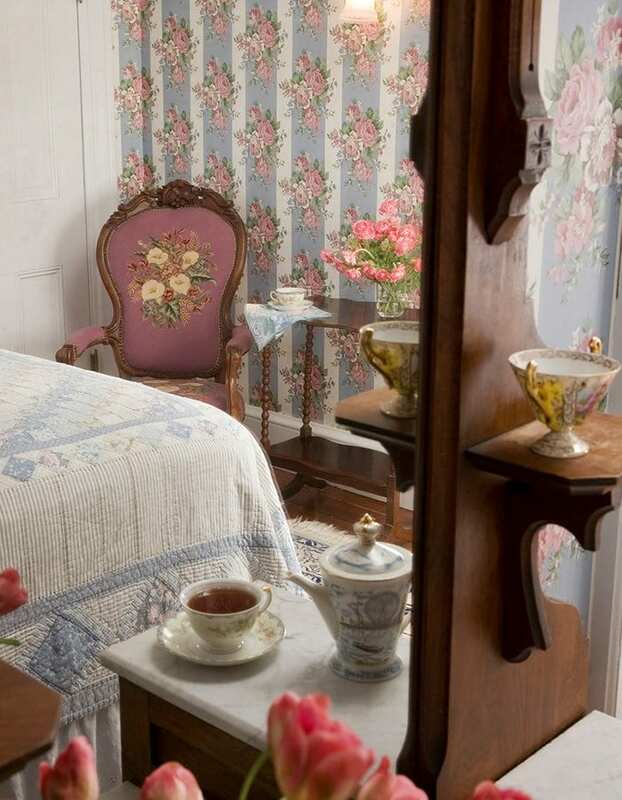 Lillie Langtry is a cozy Bed & Breakfast room. 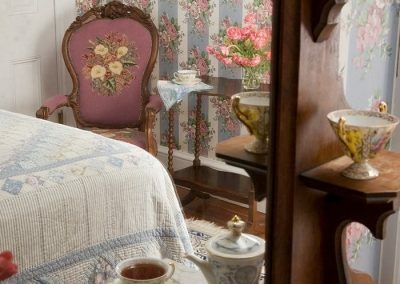 It is wonderfully bright, cozy room in every season. 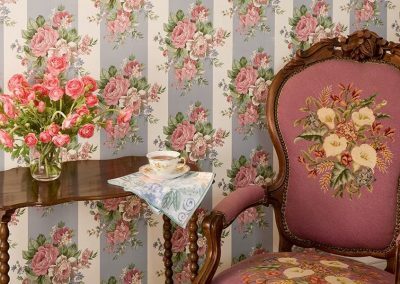 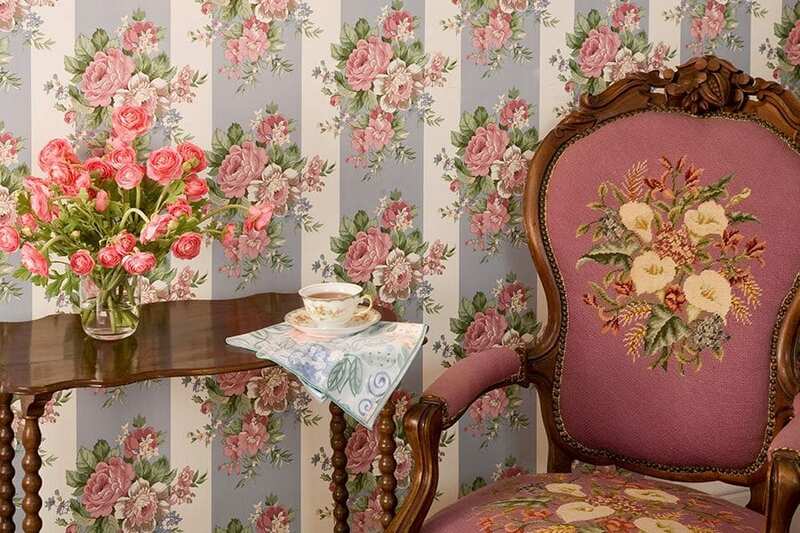 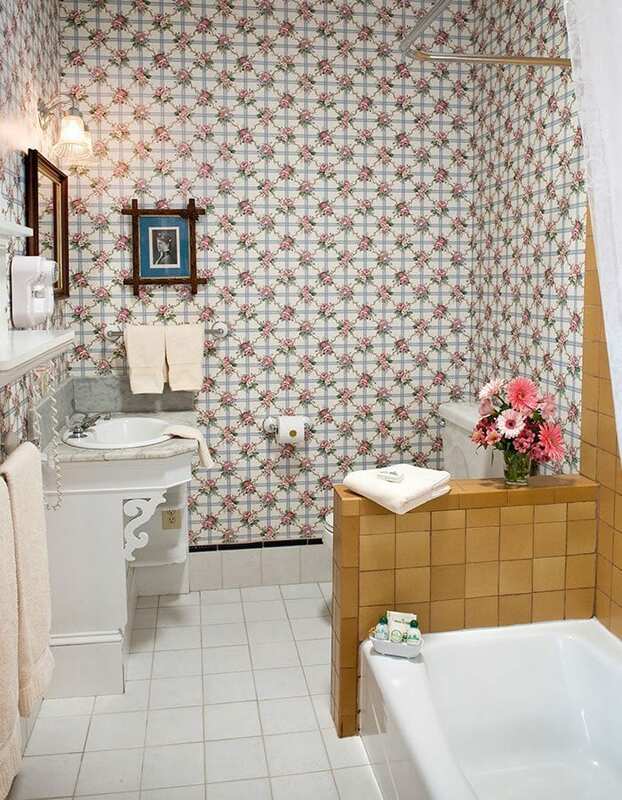 Its bright, cheery floral wallpaper brings a smile to every guest upon entry. 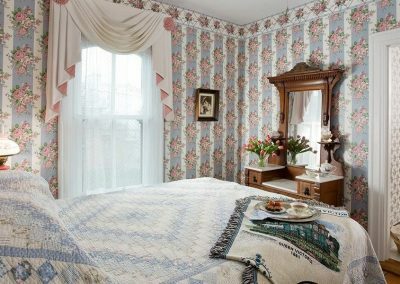 Lillie Langtry offers excellent value to the discerning traveler with a lush queen size bed wrapped in premium ironed sheets and a beautiful premium quilt, a vintage Victorian headboard and a dresser and Victorian high-backed chair. 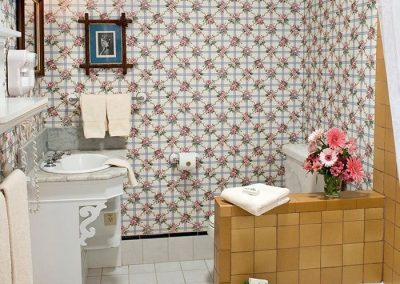 The private bathroom is surprisingly large and very bright with a tub and shower with a European style hydro-massage head. 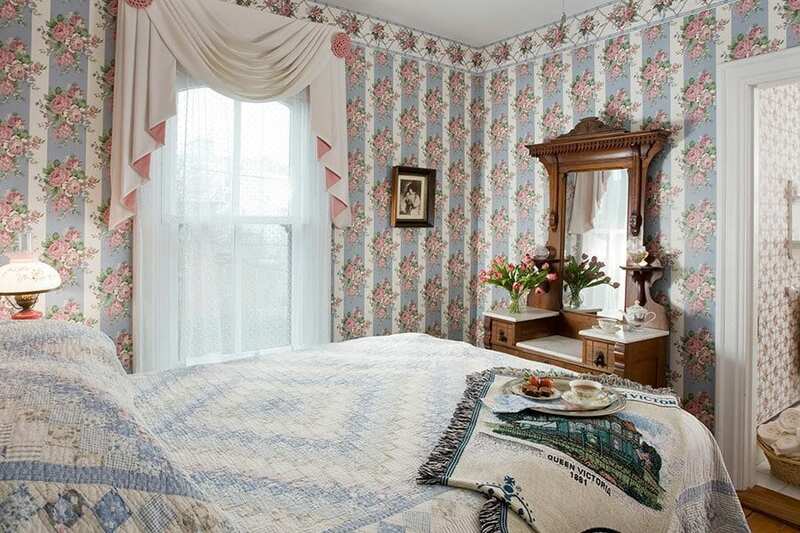 Lillie Langtry is equipped with individual climate control, a color television with DVD, a mini refrigerator, a hair dryer and an iron with an ironing board to make your Jersey Shore vacation comfortable and memorable.